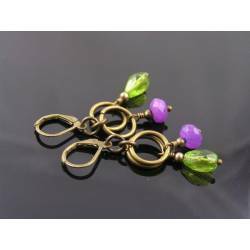 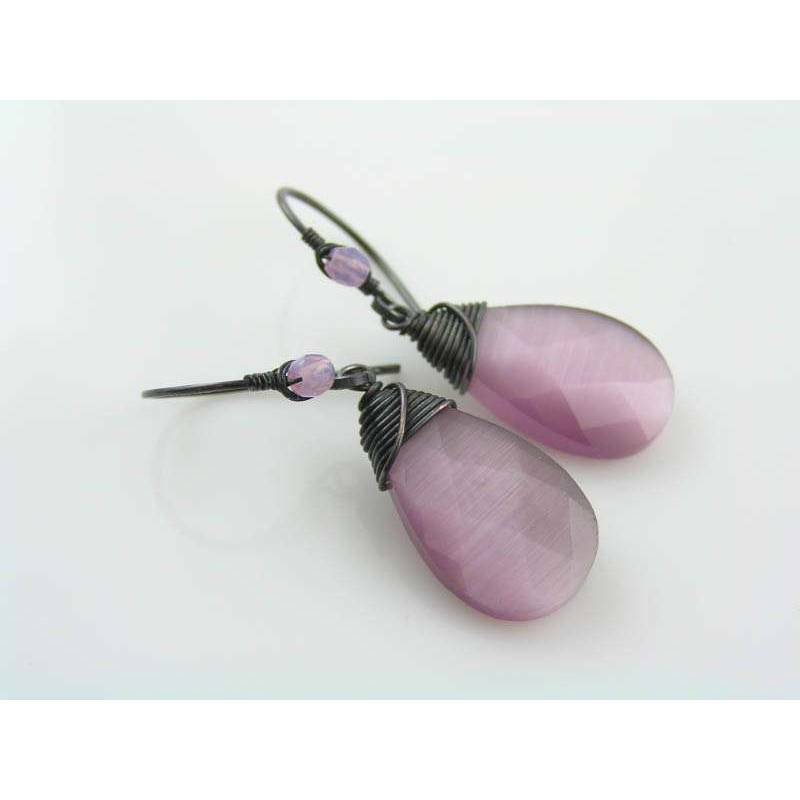 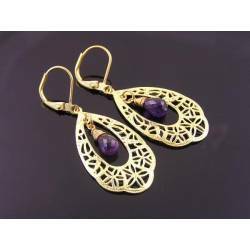 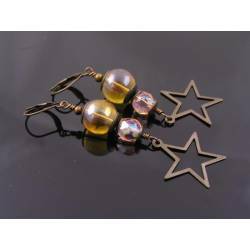 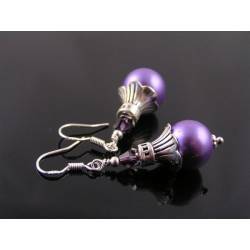 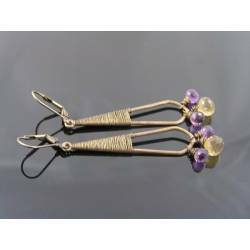 Shiny purple cat's eye earrings. 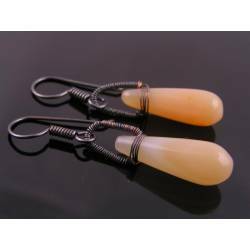 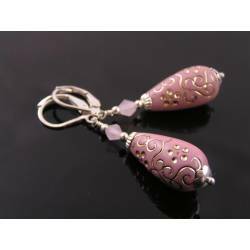 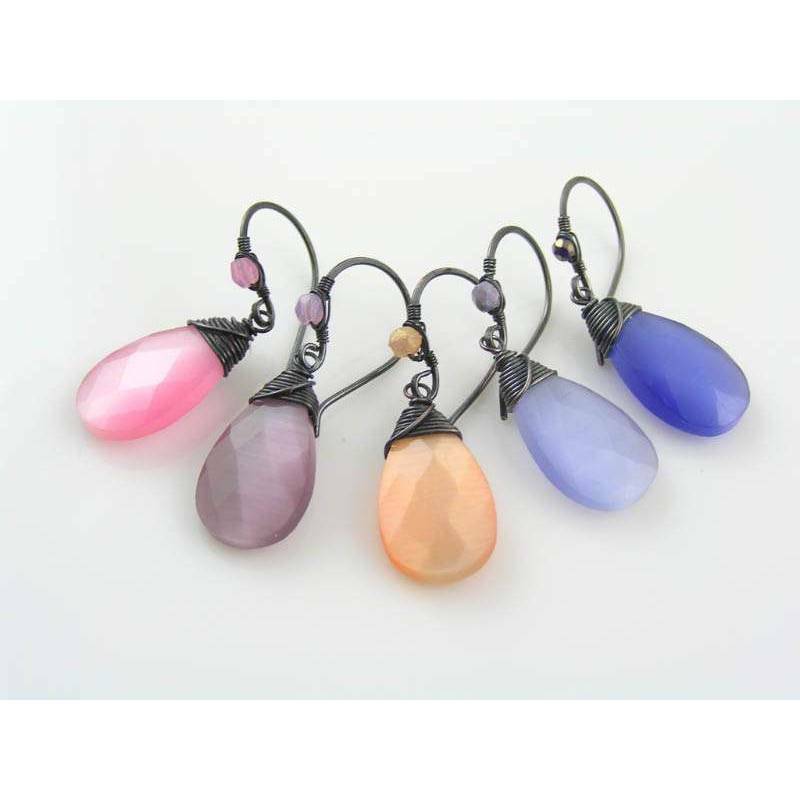 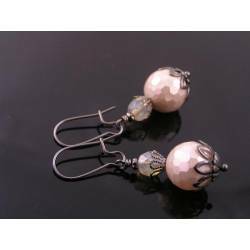 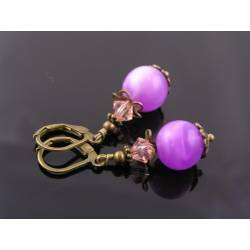 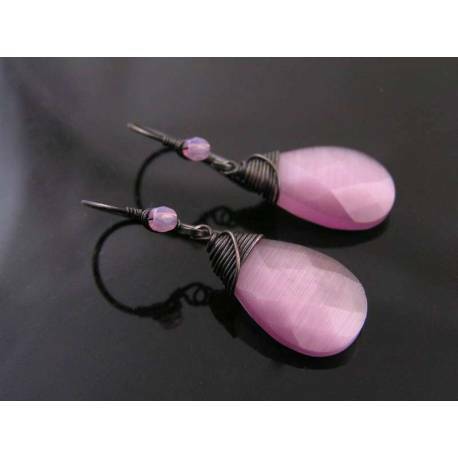 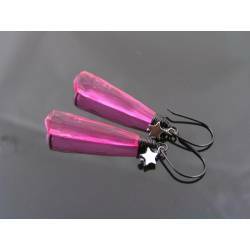 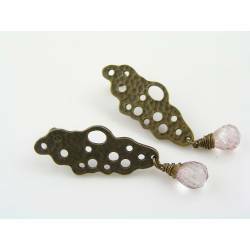 These are large pink or mauve coloured cat's eye drops on wire wrapped ear wires in oxidised copper. 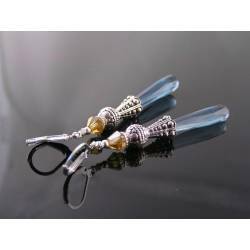 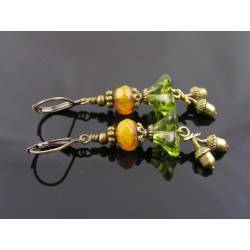 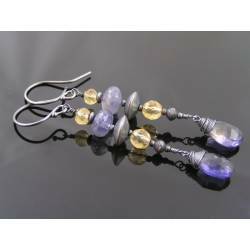 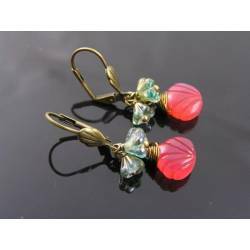 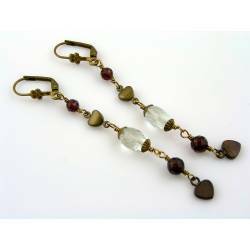 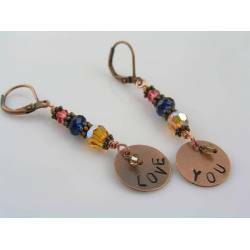 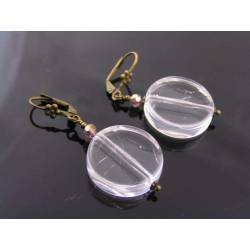 They are drop shaped and faceted glass beads which I wire wrapped and then attached to hand formed and hammered ear wires. 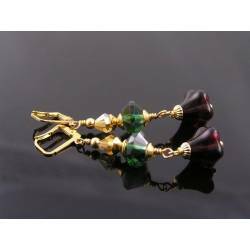 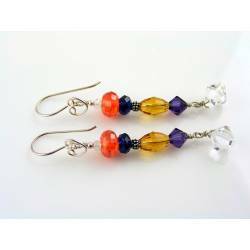 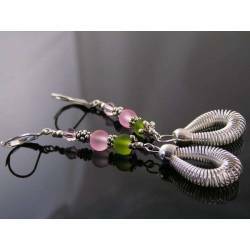 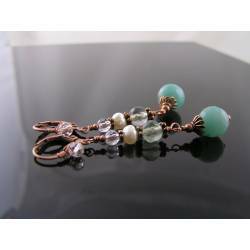 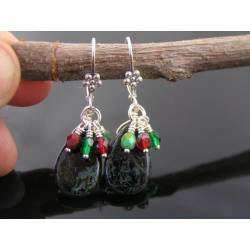 the ear wires are also wire wrapped adding a small fire polished Czech bead in a matching colour. 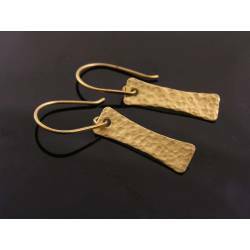 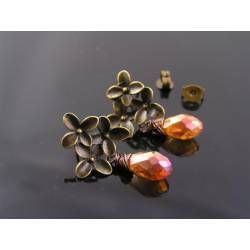 All metal is solid copper which I oxidised, tumble polished and then finished with a non-toxic jewellery lacquer to preserve colour and shine. 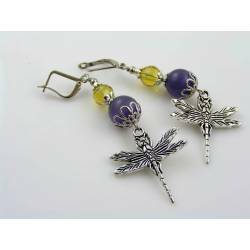 * The last photo shows other colours, available separately.